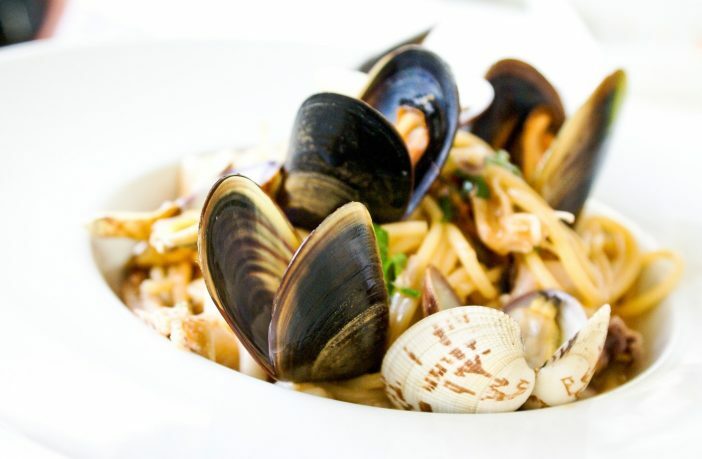 For every 3 ounces of mussels you eat, you’re ingesting an estimated 70 particles of microplastic. Single-use plastic is responsible for nearly 90% of ocean pollution. The long terms effects associated with toxic microplastic consumption are linked to cancers, birth defects, impaired immunity, endocrine disruption and other ailments. Perhaps it is time to test the shellfish on sale in South African supermarkets for microplastics. Mussels and most shell fish are the natural filtration system of the sea. A recent study by the University of Hull and Brunel University London found that shellfish are accumulating massive amounts of micro-plastics in their tissues. What they found is that for every 3 ounces of mussels you eat, you’re ingesting an estimated 70 particles of microplastic. Researchers took samples of wild mussels from eight coastal locations around the UK and eight supermarkets. 100% of them contained micro-plastics and some contained other debris like cotton and rayon. Mussels eat by filtering seawater through their bodies, ingesting small particles of plastic along with their food. The analysis shows around half of the debris found in the mussels was microplastics such as polyester and polyethene and 37% was other debris including textiles such as cotton and rayon. Seafood is only one way humans ingest microplastics, as they’ve been found in other food sources and drinking water, and can even be inhaled, University of Hull environmental scientist Jeanette Rotchell said. Toxic chemicals leach out of plastic and are found in the blood and tissue of nearly all of us. Most concerning is how little is known about the effects of microplastic consumption on human health. Exposure to them could be linked to cancers, birth defects, impaired immunity, endocrine disruption and other ailments. Perhaps it is time to test the shellfish on sale in South African supermarkets for microplastics. Perhaps it is also time to nail down the health effects of human consumption of microplastics.